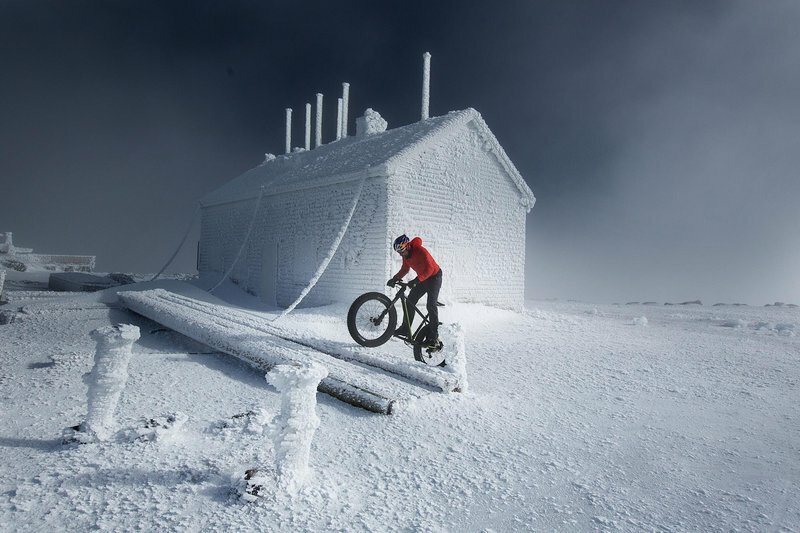 America’s first and oldest manmade attraction, the Mount Washington Auto Road has never welcomed a two-wheeled vehicle in the middle of winter, until now. 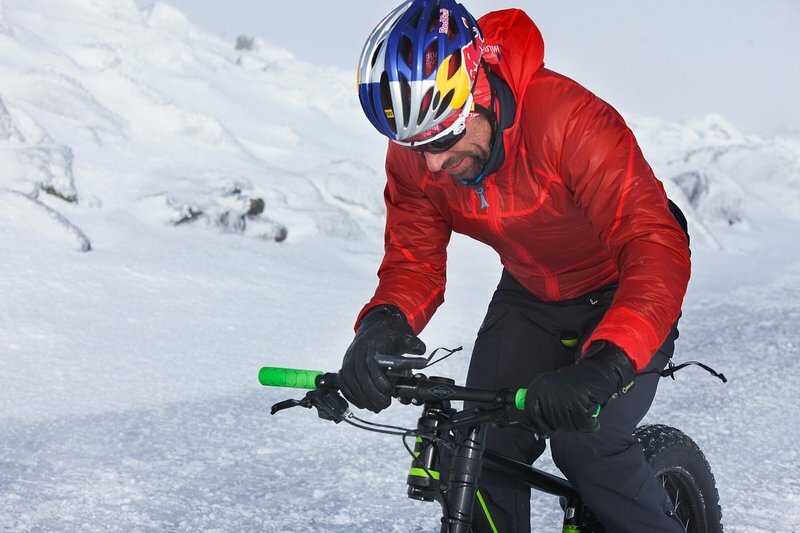 Professional cyclist Tim Johnson ascended 4,685 feet on an icy 14-percent grade slope in one-hour, forty-five minutes and 48 seconds (01:45:48) by utilizing the latest fat bike technology to push the limits of what is capable on a bicycle. 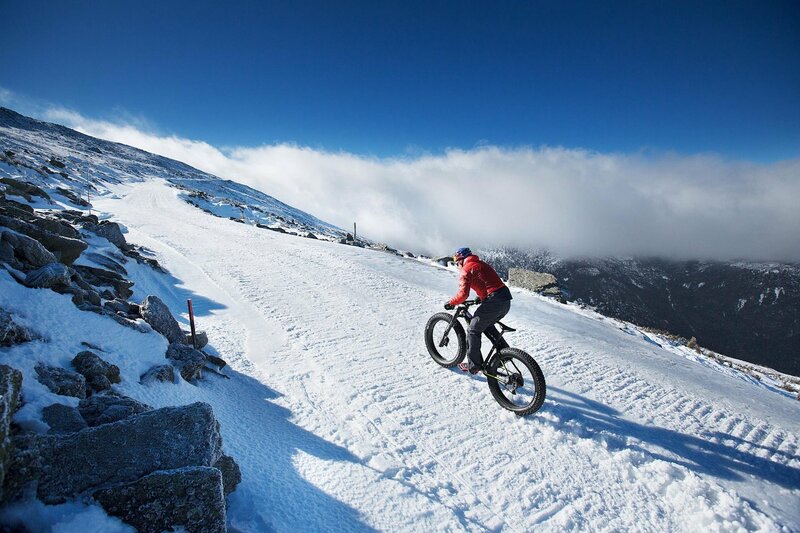 When comparing a fat bike to your average road bicycle setup, the tire width is approximately four inches larger. Pair these oversized tires with carbide studs in the knobbies and you have a vehicle that can ride on unstable terrain, such as the icy, snowy and wind-blown Auto Road. 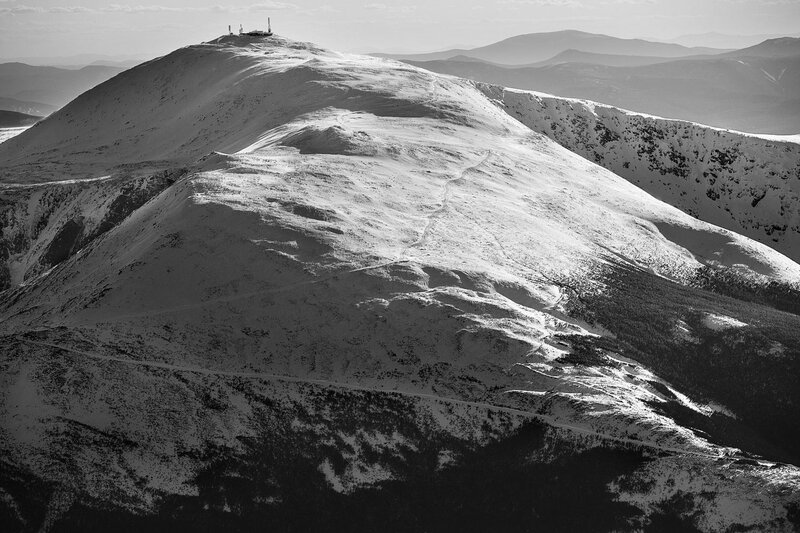 Mount Washington is famous for these dangerous wintry conditions and until recently held the world record for the highest recorded wind speed on land of 231 miles per hour. 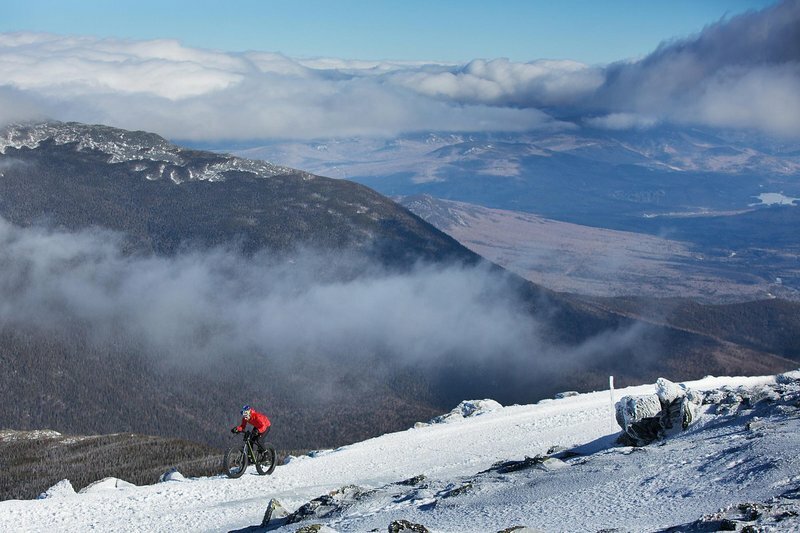 A native New Englander, the six-time cyclocross national champion is known for raising awareness for bicycle advocacy through his work with PeopleForBikes. Johnson’s career started on the Auto Road, winning the Mount Washington Hill Climb in August of 2000 and 2001. Even in the summer, the 7.6-mile route challenges the most accomplished amateur and professional cyclists.